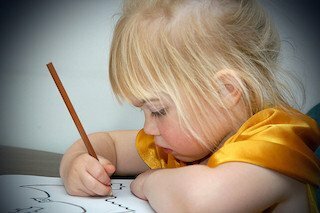 Approximately 20 percent of ADHD cases in the United States are misdiagnosed, which leads to many kids being medicated when they do not need it. One reason for these children being misdiagnosed is the age difference within school classes. Children who are in the same grade can be born 364 days apart, so the younger children are bound to have a different level of maturity than the older ones. In many cases, the misdiagnoses are the result of a teacher recommending that the parents have their child tested and doctors treating the symptoms, rather than the underlying cause. This is becoming an epidemic in this country, but there are things that parents can do to eliminate the need for this medication by treating the symptoms naturally. When you look at the numbers, you cannot help but be somewhat startled by what is happening in the United States. In the last 10 years, the number of ADHD diagnoses has increased by 41 percent. Since 2007, the number of children who are on drugs to treat the symptoms of ADHD has increased by 28 percent. In Louisiana, 9.2 percent of all children are taking ADHD medication, which is leading to a generation of medicated children. Keep in mind that the youngest children in a kindergarten class are 60 percent more likely to receive this diagnosis than the older children in that class, due to the difference in age and maturity. When a child is diagnosed with ADHD, he or she may be given Ritalin to treat the symptoms. This medication is meant to help the child focus. Unfortunately, there are side effects that many parents might not consider when agreeing to put their child on Ritalin. For example, this drug increases a child’s heart rate by 8.1 beats per minute and blood pressure increases by 6 percent. It can also hinder a child’s growth rates, as children who take this medication are 8.36 pounds lighter and 0.76 inches shorter, on average. This slowed growth rate is not reversible, so it is something that your child will struggle with for the rest of his or her life. Whether your child has ADHD or not, you might want to come up with some natural ways to help him or her focus. For example, omega 3 fatty acids can help with a child’s memory, behavior and focus. These fatty acids are found in olive oil, flax oil and fatty fish, so make sure that your child consumes plenty of these foods. If you cannot get your child to eat fish on a regular basis, try purchasing some supplements, as they are available in tablet form and have been shown to improve children’s attention span and mood. The foods that your child eats can have an impact on his or her ability to focus. Try eliminating gluten, artificial flavors, sweeteners, refined sugars, food coloring and preservatives from your child’s diet. Limiting the carbs that the child consumes can also help, while allowing him or her to eat an abundance of healthy proteins like eggs, lean meats and chicken. It has been suggested that adding certain herbs, such as ginseng, ginkgo, lemon balm, chamomile and bacopa to your child’s diet can help him or her to focus better. The idea is that these herbs can create an antioxidant effect in the brain, which can enhance the brain’s neurotransmitters. While more research is needed on the effectiveness of these herbs, they are certainly worth trying. Those who suffer from ADHD are more likely to have stress and anxiety, which can make the symptoms of the disorder even worse. Taking Echinacea extract supplements can have an influence on your child’s mood by relieving anxiety and, therefore, improving your child’s ability to concentrate. Echinacea triggers calm feelings in those who take it and does not come with any side effects, making it perfectly safe for children. ← Got anger? Get help. Much ADD and ADHD is caused by viruses in the body from vaccines. Reducing foods containing the amino acid L-arginine and increasing L-lysine (through supplements) along with herbs and supplements that help suppress viruses can also help.